Dr. Rhoads is a telemedicine/telehealth researcher and educator, emphasizing the human impact of technologies on health care provider roles and patient- and family-centered care. Dr. Rhoads has coordinated distance education and research initiatives through connected health/telemedicine to rural health care providers and residents of rural areas. 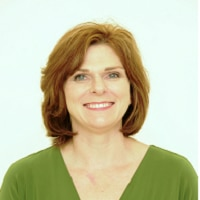 She has been the primary investigator on multiple grants related to telehealth and is the Primary Investigator for the South Central Telehealth Resource Center, which facilitates telemedicine in Arkansas, Mississippi, and Tennessee. Several of Dr. Rhoads’ research and project grants have focused on the Mississippi River Delta region of the United States. Dr. Rhoads has a passion for improving maternal, neonatal, and pediatric care in rural areas.